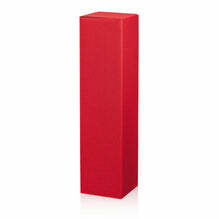 Gift box for two bottles of wine or champagne up to 360mm length. This packaging underlines the sustainability of our products. 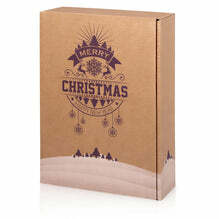 The Christmas theme is printed in dark brown and white on a brown natural cardboard. The inside and the separate insert are also natural brown!